CONTACT | Hoeseng Engineering & Trading Sdn. Bhd. Thank you for visiting our Hoeseng Engineering & Trading Sdn. Bhd. official website. If you have any question or inquiry on our products and company, please feel free to contact us or you may fill this Enquiry Form here. 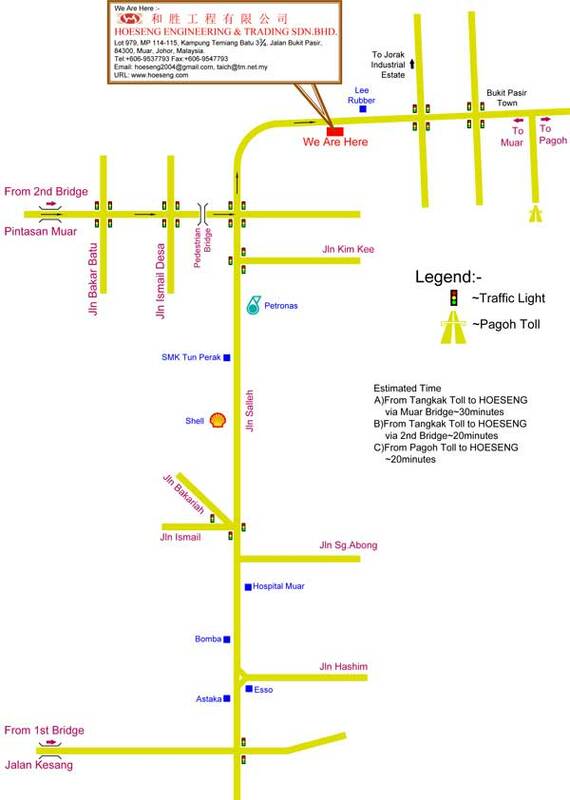 Jalan Bukit Pasir, 84300 Muar, Johor, Malaysia.